Stunning. Beautiful. Flawless. Breathtaking. 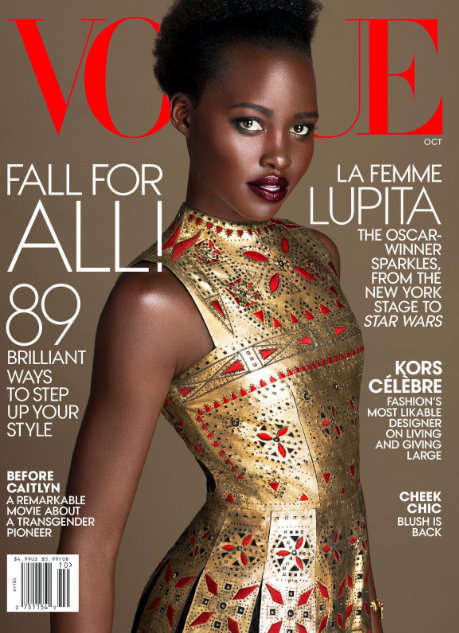 Those are just some of the words that came to mind when I saw Lupita Nyong’o editorial spread for Vogue (October 2015). High Fashion is her calling. She makes wearing Givenchy by Riccardo Tisci seem like second nature to her, like she was born to wear it. She stands out against the Picasso painting in her Gaultier Paris lace bodysuit and satin skirt, a skirt that I would love to have. 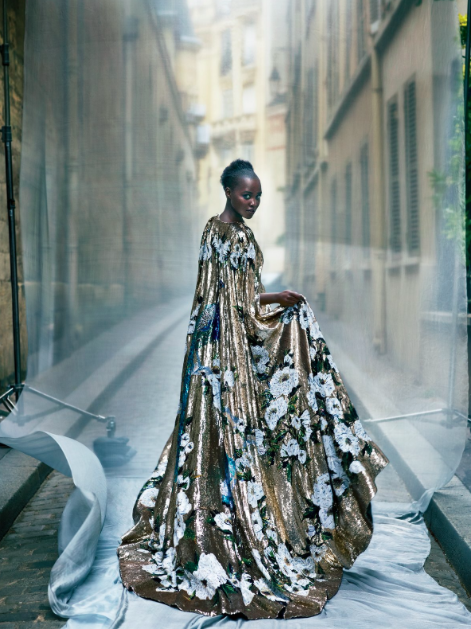 And that Dolce and Gabbana sequined cape was made for her. Obviously, I love the artistic direction of this photoshoot so kudos to photographers Mert Alas and Marcus Piggott.